Maggie and Will Bowling grow organic vegetables, herbs, fruits and cut flowers on their 55-acre farm near Oneida in Clay County. Products are sold in markets in Manchester and Hazard, to food services including Manchester Memorial Hospital, and area restaurants including Thersey’s in Manchester. 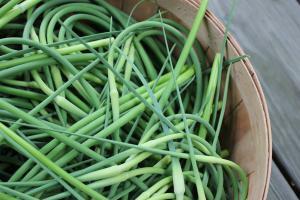 Produce can be order directly through the Old Homeplace Farm website at www.oldhomeplacefarm.com. In addition, Maggie was previously the Grow Appalachia site coordinator at Pine Mountain Settlement in Harlan County. 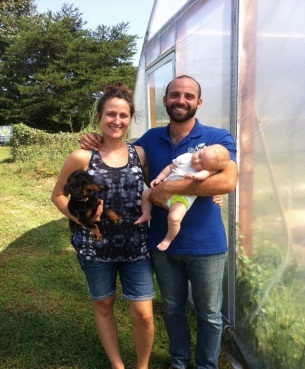 The SOAR Production Loan Fund provided Maggie & Will Bowling a loan to purchase a new 30’x 90’ high tunnel greenhouse. 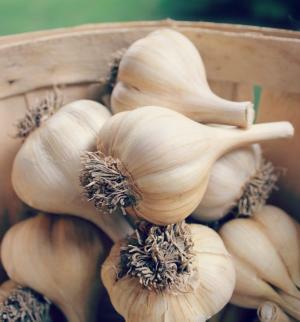 Founded in 2010 by Julian Turpin as a roadside fruit stand near Somerset, J & J Farm Produce Market & Deli sells organic vegetables, fruit and other produce grown by the owner and the Amish community in Lincoln County. The company also supplies produce to local supermarkets in Pulaski County. 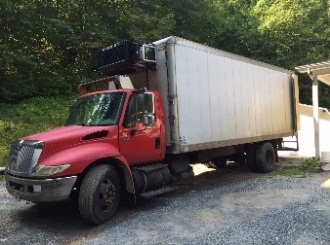 The SOAR Production Loan Fund provided the J & J Farm Produce financing to purchase coolers and a cargo trailer to transport produce. 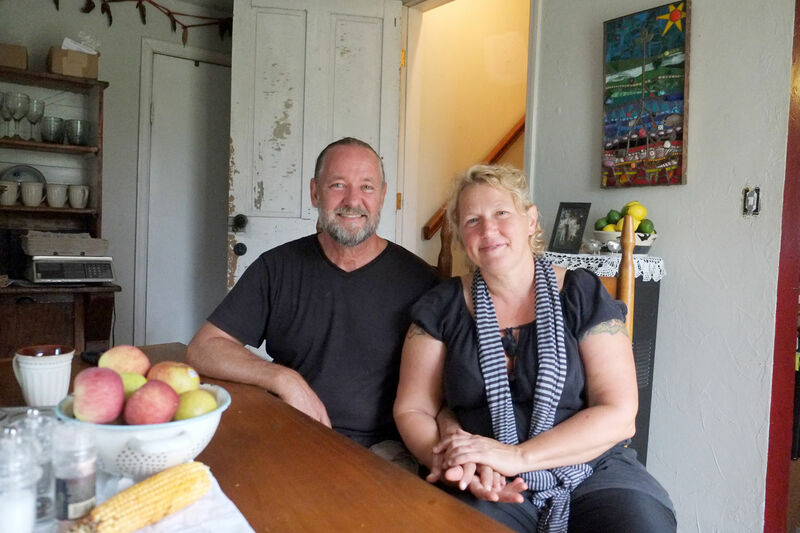 John Stanley and Heather Lundy – Moving to the Bybee area of rural Madison County from Nova Scotia in early 2014, John and Heather continued the organic farming efforts they had begun seven years earlier. They’ve started a Community Supported Agriculture (CSA) program and began to sell their products at the Farmer’s Market in Berea. Their 11-acre farm includes eleven 2,500 s.f. plots growing a variety of produce, two high tunnels constructed by Grow Appalachia, free-range chickens for eggs and a number of herbs. 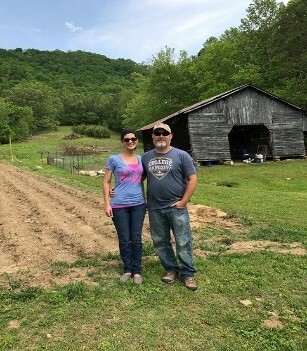 With the $7,500 working capital loan from the SOAR Production Farm Loan Fund, John and Heather will extend their farm practices that conserve and build soil health, expand their produce operation, add more laying hens and grow their CSA for next year. Melanie Gross, along with her husband James, have been involved with organic farming and Grow Appalachia for several years. With the SOAR Production Farm Loan, the Gross’ will purchase several beehives and bees to expand their honey operation and construct a high tunnel greenhouse to add vegetables to their mix of products. Laurel County African American Heritage Center - Founded in 2004 by Wayne Riley. He lived with relatives near Mill Street and 14th Street in London. 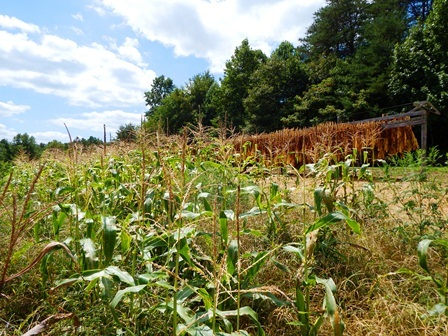 The family land includes approximately 7-acres which is currently the site of the Grow Appalachia gardens which Mr. Riley manages as the County Coordinator. The project involves the Laurel County African American Heritage Center relocating a house that has been donated by the city of London to a new site next to the center. The house, which is in good condition, was scheduled to be torn down to make room for an expansion of the Community Center. The SOAR Small Production Fund loan of $7,500 will be used to help relocate the house which is being converted into a community kitchen. Paul and Cortney Dengel - The Dengels have a 3-acre farm in Whitley County where they grow organic vegetables over three seasons in a 30’x72’high tunnel. Produce includes tomatoes, cucumbers, eggplant, peppers, kale and carrots. They are certified Organic Producers by the Kentucky Department of Agriculture as well as members of the Whitley County Farmers’ Market. 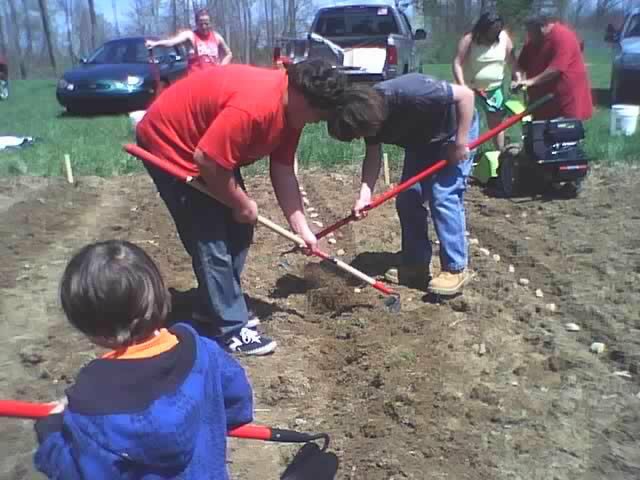 The SOAR Small Production Loan of $7,500 is being used to purchase additional equipment, including a PTO driven Rotary Tiller and a chisel plow. In addition, they will air condition their Cool bot cold storage unit will and purchase a trailer to become a mobile cold storage unit. Valerie Carmichael – Valerie Carmichael operates a dairy herd share program from her 17-acre farm in the White Oak community of Whitley County. The dairy herd currently includes seven cows, primarily Jersey and Guernsey, with some cross between breeds. Each person that owns a share of the herd is entitled to receive a certain amount of raw milk each week. The typical share owner is entitled to receive one gallon of raw milk each week and will pay $7.00 as a fee for the farm providing feed and labor in caring for the herd. 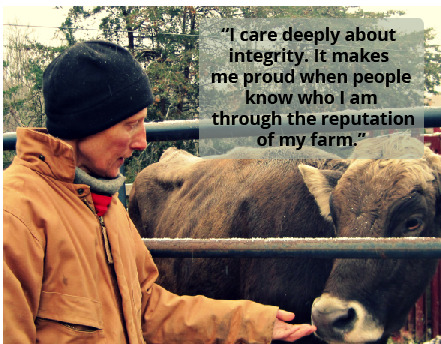 The Carmichael herd share program has approximately 50 owners. The SOAR Small Production Loan of $7,500 will be used to upgrade the milking room and milk processing area. The project will winterize and heat the milking room; place concrete on the milking room floor and entry/exit areas; construct an elevated stanchion; purchase a new hay feeder, and, purchase a refrigerator for additional milk storage. This will allow Ms. Carmichael to increase her herd and milk production. 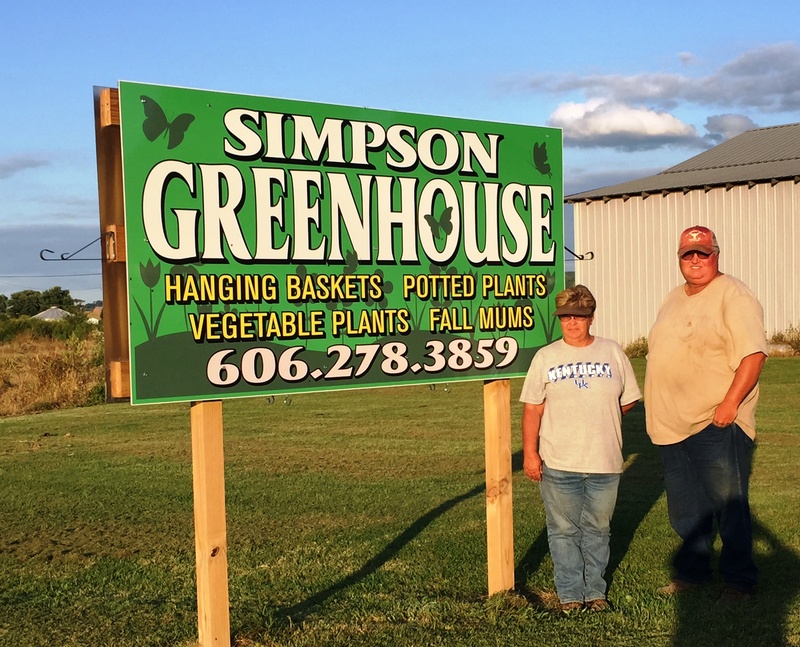 Fox Brothers Farms – Donnie and Daniel Fox have been growing 3-4 acres of produce in the Canadatown community of rural Whitley County for more than 10-years. Retired teachers, the brothers focus on corn, watermelons, beans and tomatoes. Their products are sold through the two Whitley County Farmer’s Markets, at their roadside produce stand and by direct sales. With the SOAR Production Farm Loan of $7,500, Fox Brothers Farms clear land for added production, purchase additional equipment and fence the area around their gardens to prevent loss from deer and raccoons. Terry and Mildred Simpson – Lifelong residents of Wayne County, the Simpsons took over operation of the family farm on which Terry grew up in the early 1980’s. Included in their diverse farm operations, Terry and Mildred have operated a certified Kentucky Proud roadside market near their home for the past 15-years to sell produce and flowers. The Simpsons have always embraced new technologies allowing them to expand their production and markets. The SOAR Production Farm Loan of $7,500 will be used to purchase a “cool room” to maintain fresher product during the floral and vegetable season and to purchase a mulch film lifter to remove and conserve the plastic mulch film from the ground at the end of each growing season. 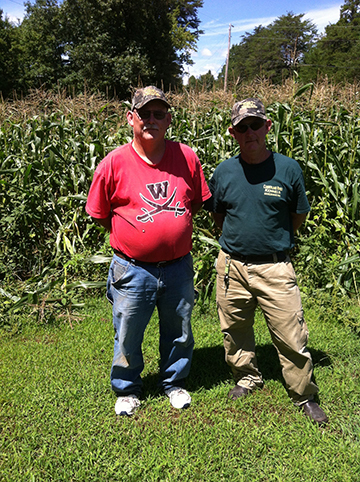 Mark Walden has a 14-acre farm in southern Madison County on the Rockcastle County line. 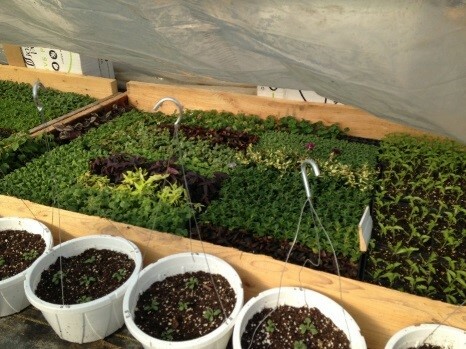 On the property, he grows a variety of produce sold at different outlets. With the SOAR Farm loan, Mr. Walden will add fruit production to his mix as he feels that fruit is a highly marketable farm product in the region. 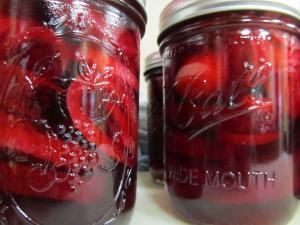 Fruit are primarily perennials and take 6-months to three years before production is consistent. With proper management, a fruit installation can increase yields by up to 30% per year until they reach maturity at 8-10 years old. Apples, peaches, pears and plums will be among the fruits grown. Beth Curlin Weber and Don Weber – Beth Curlin Weber and Don Weber are using a $3,135 loan from the SOAR Production Loan Fund to construct a 12’x 40’ high tunnel greenhouse on their 16- acre farm in Garrard County to expand their vegetable production and extend their growing season. In addition to being small farmers, Beth Curlin Weber is a program officer for the Brushy Fork Institute and Don Weber is self-employed as a woodworker and blacksmith. They also sell produce at the Berea Farmer’s Market and operate Bodger’s Best, a crepe/taco cart at the market and other venues. The food cart uses vegetables and herbs grown on the farm. 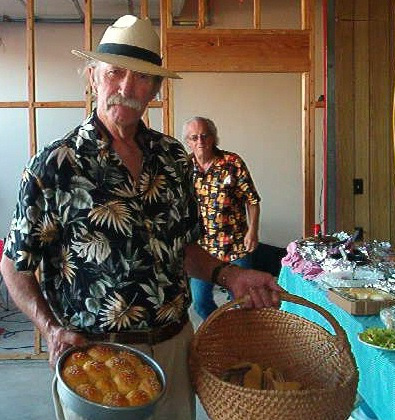 Don Weber also has a micro-processing license and will soon begin to make rubs, sauces and pickled items to sell. The Weber’s keep bees for pollination and some honey production. Jeff Barnett - Jeff Barnett has been a life-long small farmer and who grew tomatoes for many years when the vegetable co-op was active in Wayne County. He currently grows corn and vegetables for family use and re-sale, along with about one-acre of tobacco. 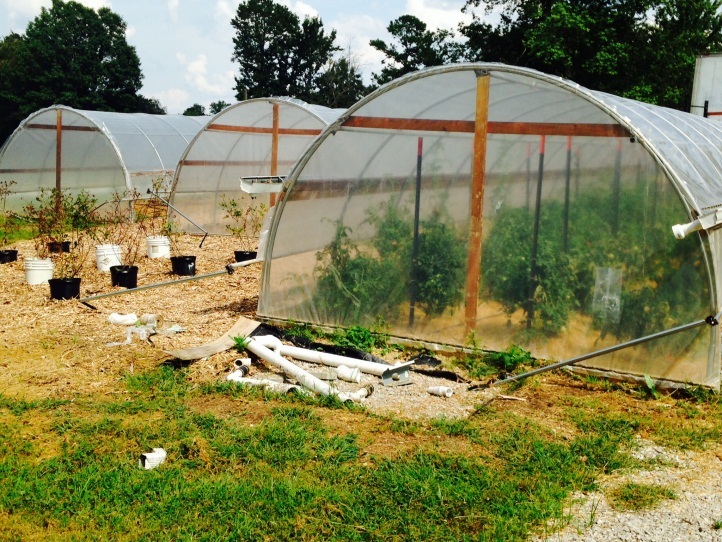 With the $7,500 loan from the SOAR Small Production Loan Fund, Jeff will complete site work and run irrigation lines and then have Grow Appalachia construct two high tunnel greenhouses to expand his vegetable production. Mike’s Produce – Larry and Amy Jackson, brother and sister, are the third generation to supply fresh produce to Bell County and surrounding communities. Their grandfather founded the company in 1960, with the business being passed from generation to generation. Larry took over the day-to-day operations of the company in 1996, and continues to manage the daily operations. Amy provides the accounting and office management for the company. Starting as a small rural market, the company has grown into a regional supplier of fresh produce and eggs to local schools, community markets and restaurants within a 125 mile radius of Bell County. The $7,500 loan from the SOAR Small Production Loan Fund will be used by Mike’s Produce a used 1-Ton refrigerated box truck to expand the delivery of fresh produce to area consumers. An additional short-term $5,000 loan was providing in late 2017 to help the company meet Christmas orders. Anne and John Bays operate a naturally raised livestock farm of 325-acres on the Knox-Whitley County line. The Bays' raise grass-fed beef, free range chickens, eggs and pork which they sell under the name of Moonlight Farm, LLC. With the $7,500 SOAR Production Loan, the Bays will construct a 12'x24' barn to be used as a nursery to house their chick brooder and baby pigs. 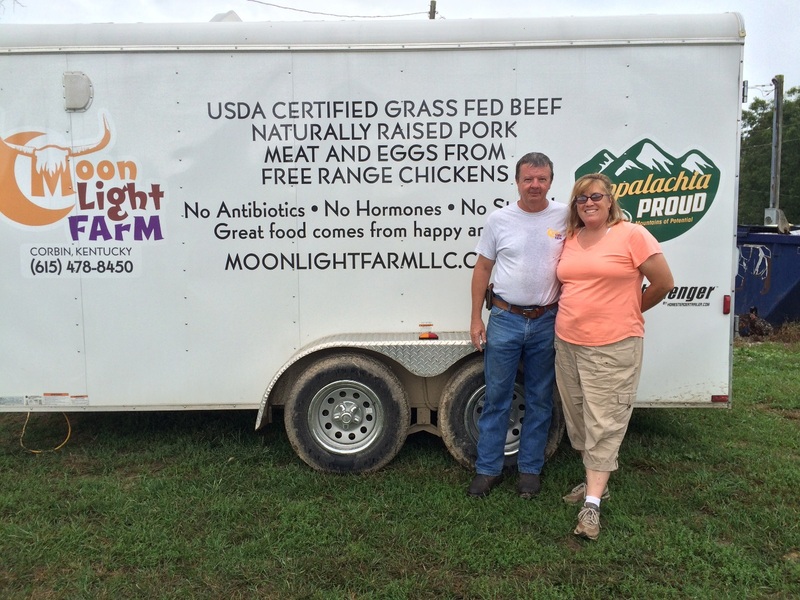 Moonlight Farm is both a Kentucky Proud and Appalachian Proud producer. The Bays' were also named as one of three finalist for the Kentucky Farm Bureau "Farmer of the Year" award in November 2015. 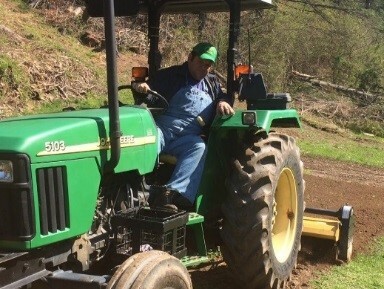 To read more about their nomination, please visit http://www.thetimestribune.com/news/tri-county-profiles-corbin-farmer-named-finalist-for-ky-farmer/article_a2d9af06-919b-11e5-9533-d7744d0d9369.html. Foothills Products & Services - In October 2015, the Kentucky Center for Agriculture and Rural Development (KCARD) completed a six-month study of Foothills Products & Services on how to increase sales, improve operations and upgrade all aspects of the business. The company is already Kentucky Proud and supplies no antibiotics, no preservative pork sausage, pork tenderloin and pork burgers to outlets, including Good Foods Co-Op in Lexington. One important element KCARD recommended was that Foothills Products & Services needed to add a refrigerated delivery vehicle if they were ever to get product into grocery stores and other sizeable outlets. Currently, Foothills Products & Services delivers in a company van with product in coolers which is not acceptable for Kroger’s and IGA for example. Brandon Roark grew up in the Artemus community of Knox County and has been farming there since he was 16-years old. 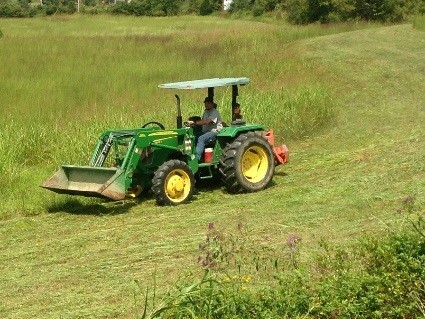 Brandon cuts hay for sale and for his 40 head of cattle on his family farm and land he leases in the county. With the $7,500 SOAR Farm Loan, Brandon purchased a second tractor and implements to he can farm more efficiently and not always be moving his equipment from field-to-field around the county. 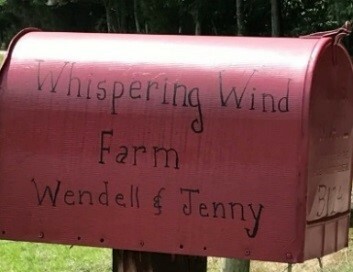 Wendell & Jenny Martin operate Whispering Wind Farm, a 139-acre cattle and hay operation in the Three Links community of Jackson County. The farm has been in the family since 1902, with Wendell and Jenny moving there to begin their farming operation in 2002. Whispering Wind Farm is primarily a cattle operation with 25-30 head. 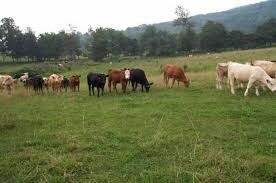 The farm breeds its own cows which are then sold directly off the farm, usually in November and April. With the $7,500 SOAR Farm Loan, the Martins will construct a new equipment and hay shed, construct a new pond and restore an existing dam on a different pond. Samantha Whitaker is another young cattle farmer in Floyd County. In addition to farming, she is a full-time student at Morehead State University who will graduate with a Veterinary Science degree in May 2018. She also works part-time at a veterinary clinic. 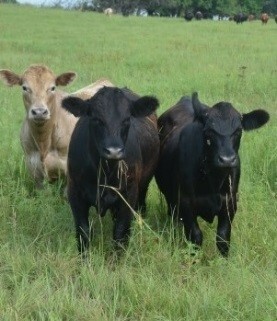 With the $7,500 SOAR Farm Loan, Ms. Whitaker will purchase 5 cow/calf pairs who have already been bred back. Her plan is to build the herd, keeping the cows and selling some of the calves. 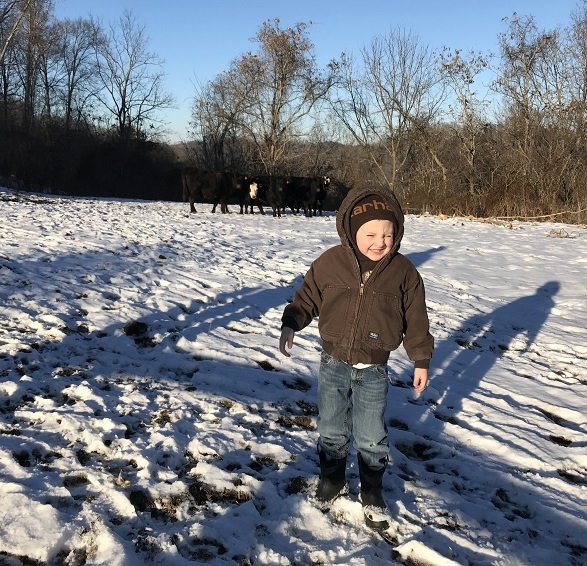 Dustin Harris is yet another young farmer who has been raising cattle with his family most of his life in Johnson County. While working full-time making bows, Dustin has always raised cattle and plans to increase his herd. 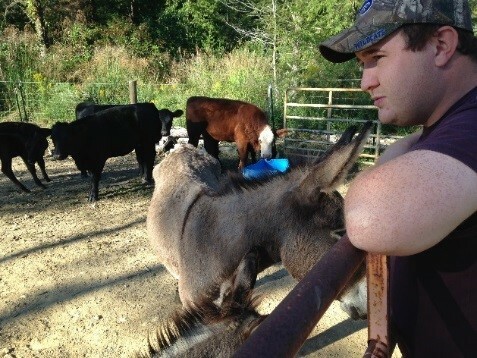 Farming on his family’s 200-acre farm, Dustin will use his $7,500 SOAR Farm Loan to purchase addition cows and calves. Albert Dean Lawson iand his wife Karen are life-long residents of Clay County who have been involved with cattle farming in the past and are re-entering the business. To achieve this goal, the Lawson’s have leased a 130-acre farm outside Manchester for a 5-year term and are preparing it for cattle. With the $7,500 SOAR Farm Loan, the Lawson’s will prepare the pastures, replenish grasses and purchase several head of cattle. Keith Johnson is cattle farmer in the Pike/Johnson County area that is planning to purchase hay equipment and to add to his cattle herd. Mr. Johnson lives in Virgie in Pike County and farms 112-acres in both Pike and Johnson Counties. His plan is to purchase cow and calf pairs to pasture all summer and sell the calves in the fall. He will keep the cows to raise calves from in the future. In addition, Keith Johnson will use some the $7,500 SOAR Farm Loan funds to purchase hay equipment. J.R. Damron operates EK3 Farms in the Virgie community of Pike County. The 11-acre farm (https://www.facebook.com/E-K-3-Farms-322108677988805) primarily grows corn which is converted into corn meal. The corn meal is processed in a mobile grind mill which Mr. Damron takes to the Pikeville Farmer’s Market, neighboring farmer’s markets, various festivals and to area schools for demonstration. For school groups, each student is given a recipe and enough corn meal to make the recipe for $1. The waste product is sold as chicken feed. The $7,500 SOAR Farm Loan is being used to purchase a corn planter to increase production and a truck to transport equipment. Jenna & Brian Morris moved to Flat Lick in Knox County in 2016 from the Salt Lake City area. 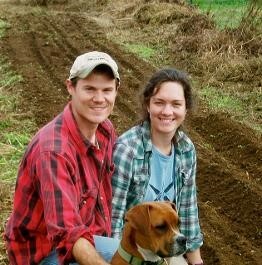 The Morris’ are working to establish a small farm operation on their 40-acres. 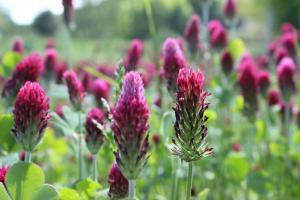 They are developing a 1-acre plot of pasture land to be designated as pollinator habitat. They currently are raising rabbits, chickens and ducks both for their own use, as a source of nutrients for the high tunnel soil, and for sale of eggs and meat. They are enrolled in the Kentucky Proud, Appalachian Proud and Homegrown by Heroes Program with the Kentucky Department of Agriculture. 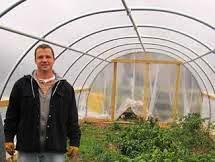 With the proceeds of the $7,500 SOAR Farm Loan, the Morris’ will construct a 100' High Tunnel greenhouse for starter plants and longer production. Adam May is the founder and owner of Four Corners Pet Food. A UK College of Agriculture graduate, Mr. May’s company is a tenant in the Kentucky Highlands Business Incubator. Four Corners Pet Food customizes food for individual’s pets that meets their exact caloric needs. 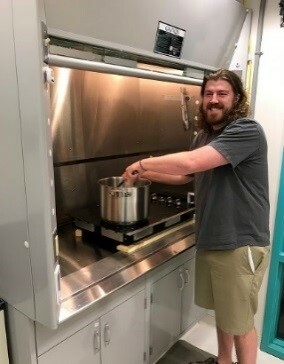 To begin the process, the customer enters the company’s website (https://fourcornerspetfood.com) and enters the weight and activity level of the pet. 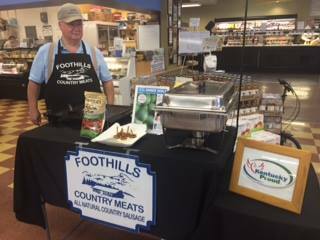 Four Corners Pet Food purchases all of its ingredients from local farms and food suppliers. It is graded for human consumption rather than offal that is typically used in most pet foods. The $7,374 SOAR Farm Loan will be used to purchase equipment to increase production capacity. 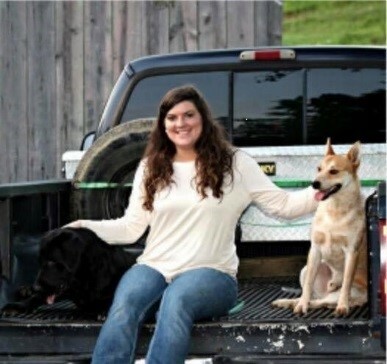 Rebecca Biggerstaff is a young farmer who returned to the family farm three years ago from the Nashville area. While Ms. Biggerstaff has her own home on the farm, she utilizes a portion of the family 50-acre farm for her venture. She has formed a company called Lettuce Fish, LLC and is working with Kentucky State University on an indoor aquaculture program. 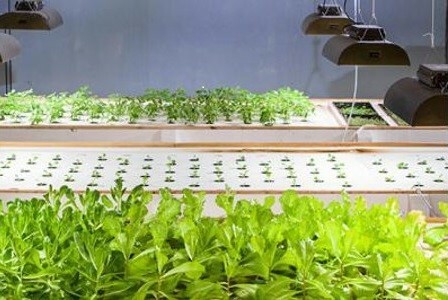 Ms. Biggerstaff will invest the $7,500 SOAR Farm Loan in an environmentally-controlled greenhouse that will house the aquaponics venture being developed jointly with Kentucky State University. Joe Allen is a young farmer who has been farming on a smaller scale with his family all his life. 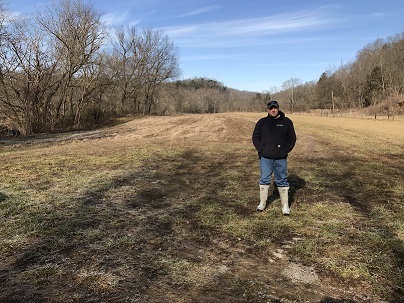 He presently farms a portion of a 19-acre tract he purchased where he was raised in Wolfe County and on a 40-acre tract owned by his father in Menifee County. 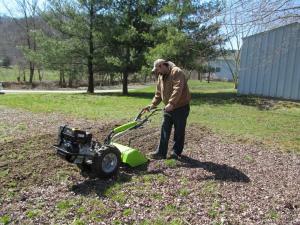 Mr. Allen would like to expand his farming operation to the point where he could eventually become a full-time farmer. 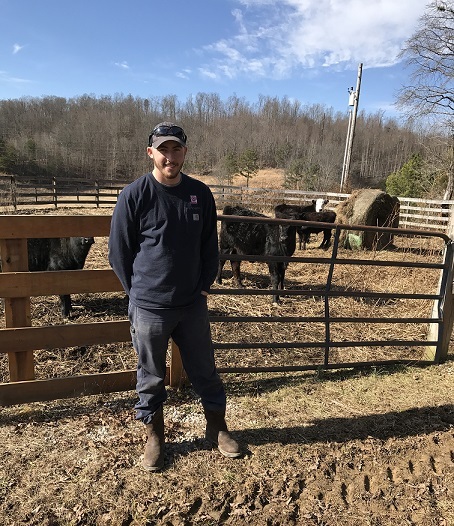 With the $7,500 SOAR Farm Loan, Mr. Allen purchased a cattle trailer to move his livestock between farms and make fencing, water line and other improvements to the farm. Trevor Montgomery, at 18-years old, Trevor is the youngest borrower from the SOAR Loan Fund. He is a beginning farmer who borrowed $5,000 from the Kentucky Highlands EZ Crop Fund to purchase his first cattle in Spring 2017. With the $7,500 SOAR Farm Loan, Trevor will purchase his first farm – a 5-acre tract to house his cattle. The farm is fenced, has a good barn, and a water source. His plan is to buy the tract, upgrade fences and gates, and fertilize and lime the fields. Sue Hobbs farms on her 50-acre farm near Union City in Madison County. Over the years, she has worked with cattle but now most of the farm is cut for hay. Over the past five years, Ms. Hobbs has developed a starter vegetable plant business with plant material grown in her 36’ x 80’ greenhouse. She has already been certified as Kentucky Proud and Appalachia Proud and is working on having the farm certified organic. With the $7,500 SOAR Farm Loan, Sue Hobbs will purchase a loader attachment for her tractor as she begins to sell organic compost in bulk. Nathan Riley owns and farms approximately 18-acres in Owsley County. While Mr. Riley raises several head of cattle, it is primarily a hay farm. He uses some of the hay for his cattle but primarily sells it to other farmers in the area. 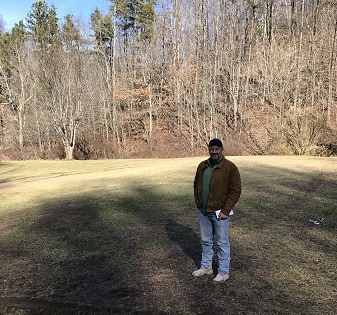 With the $7,500 SOAR Farm Loan, Mr. Riley will construct a new hayshed, enhance his hay fields with lime and fertilizer, add another pasture in hay, and purchase a variety of hay equipment. 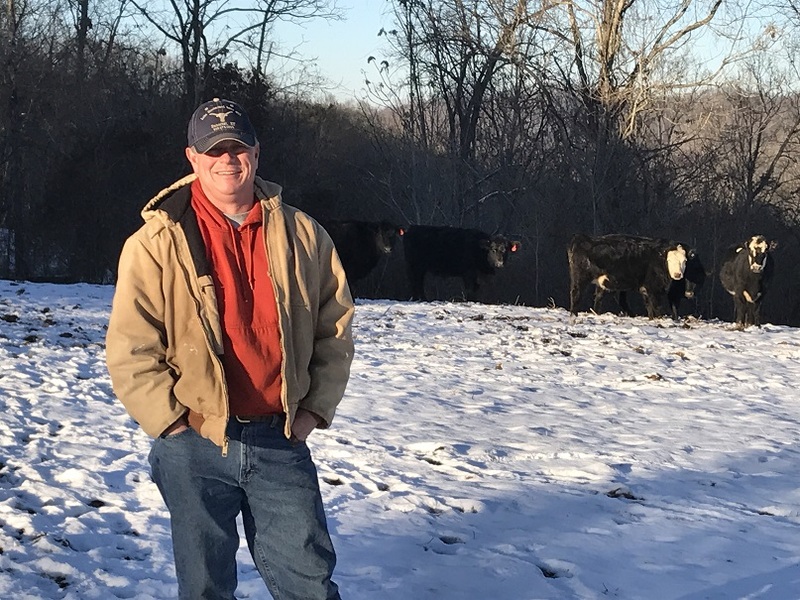 Kenny Howard is a cattle farmer near Salyersville in Magoffin County who farms approximately 40-acres which he owns. He farms with his brother Ron Howard who is also a borrower from the SOAR Loan Fund. With the $7,500 SOAR Farm Loan, Kenny Howard will construct a hayshed and purchase additional cattle. The hay is cut on a separate 100-acre family farm in Wolfe County but there is no place to store it on the Howard farm prior to the SOAR Farm Loan. Kellie & Bobby Caudill are lifelong residents of Clay County who are fairly new to cattle farming. The Caudill’s have leased a 65-acre farm in Clay County that has a very good barn, is fenced and has a mid-sized pond. The Caudill’s will be raising non-genetically treated cattle to be sold locally. 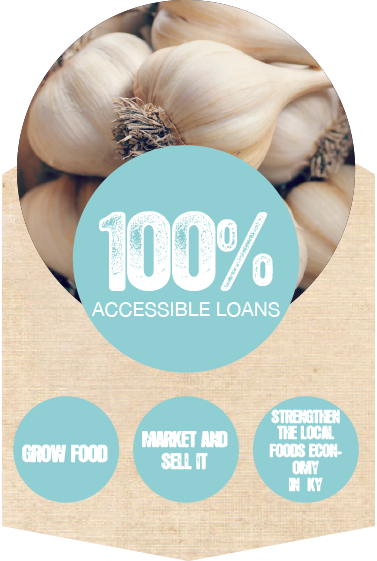 They feel there is sufficient demand in the area to be able to sell directly off the farm. Any cattle or calves not sold directly will be taken to market for sale. The proposed $7,500 SOAR Farm Loan will be used to purchase cattle.